REDUCE EMPLOYEE TURN-OVER: Every major problem in a company can be traced back to an employee; specifically a bad hire. The Hiring Academy helps you create a standardized interviewing and hiring process that avoids those regrets. HR recruitment and selecting staff does NOT have to be hard. TRUSTED BY THOUSANDS OF USERS. START CREATING YOUR HIRING PROCESS TODAY! 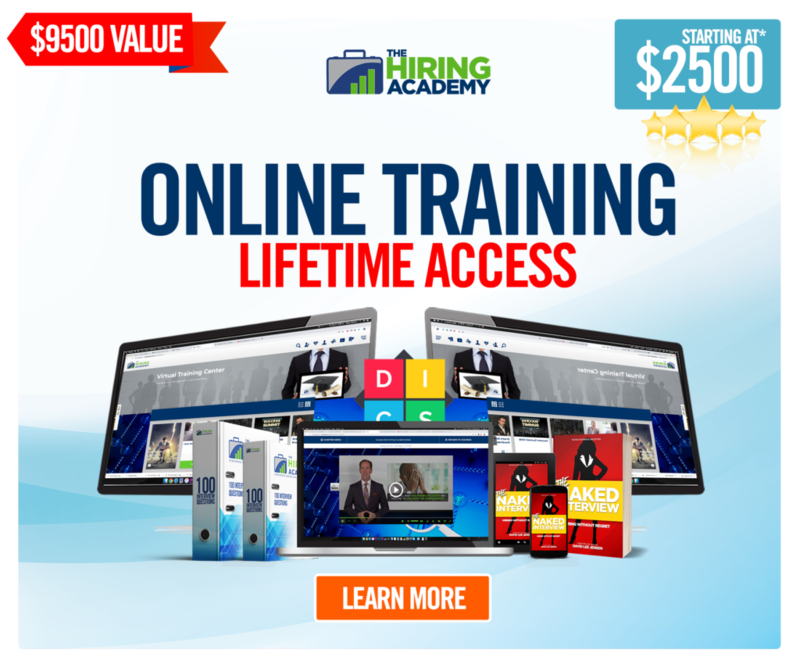 The Hiring Academy online virtual-training platform guides you through creating a hiring process for your business. The cost of a bad hire alone ($5,000-$25,000 or more) is enough to cause concern, worry or regret. Avoid the stress – for less than the cost of one bad hire. Our four core courses train you and/or your HR the A to Z of an effective hiring system. Extensive survey results show business owners, solo-preneurs and HR executives unanimously hate interviewing and hiring. Underlying this discovery was found a lack of standardized systems for hiring. With no system, you won’t know who to hire, how to hire, or if the candidate is even the right fit for the job. This fast, effective course solves that. QUICK TIPS TO HIRE RIGHT! Hire the right person, the first time and every time. 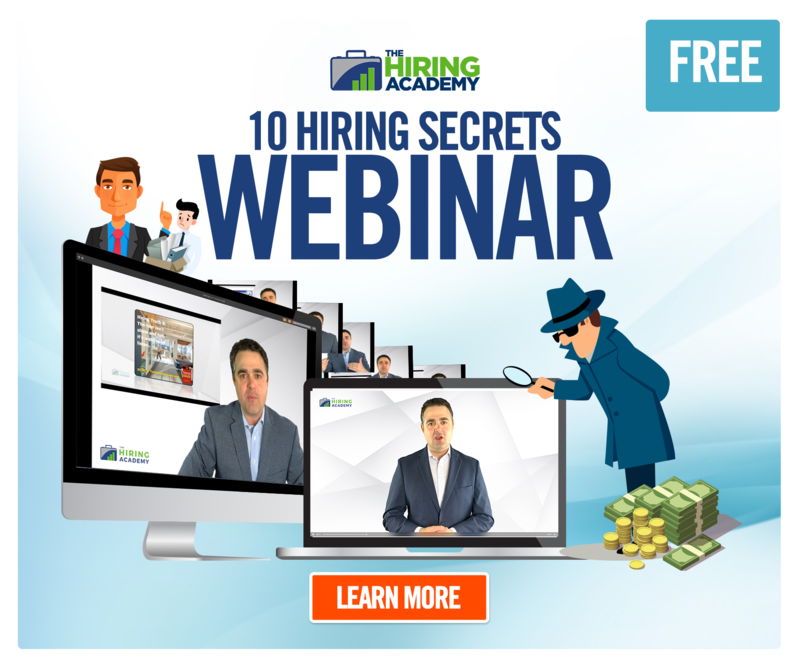 The Hiring Academy WEBINAR: 10 Secrets of Hiring will give you the core basics to implement immediately into your business and get results fast! It’s EVERY basic element of the hiring process packed into a 1-hour explanation for your quick-study solution. Get the Amazon #1 Bestseller that first revealed the 10 Truths of Hiring. This quick-read has the reasons behind Jensen researching the choosing of people, the development of The Hiring Academy and stories of unbelievable experiences leading to codifying the interviewing and hiring process.